Was it climate change? Australian National University’s Sophie Lewis on why it’s important to know whether cases of extreme weather are attributable to climate change. These days, after an extreme weather event like a cyclone, bushfire, or major storm, it’s common to find people asking: was it climate change? We also often hear people saying it is impossible to attribute any single weather event to climate change, as former prime minister Tony Abbott and the then environment minister Greg Hunt said after the bushfires in New South Wales in 2013. While this may have been true in the 1990s, the science of attributing individual extreme events to global warming has advanced significantly since then. It is now possible to link aspects of extreme events to climate change. However, as I describe in an article co-written by Susan Hassol, Simon Torok and Patrick Luganda and published today in the World Meteorologcal Organization’s Bulletin, how we communicate these findings has not kept pace with the rapidly evolving science. As a result, there is widespread confusion about the links between climate change and extreme weather. The science of attributing individual extreme weather events to climate change dates back to 2003, when a discussion article in Nature raised the question of liability for damages from extreme events. The idea was that if you could attribute a specific event to rising greenhouse gas emissions, you could potentially hold someone to account. This was soon followed by a 2004 study of the 2003 European heatwave, which caused more than 35,000 deaths. 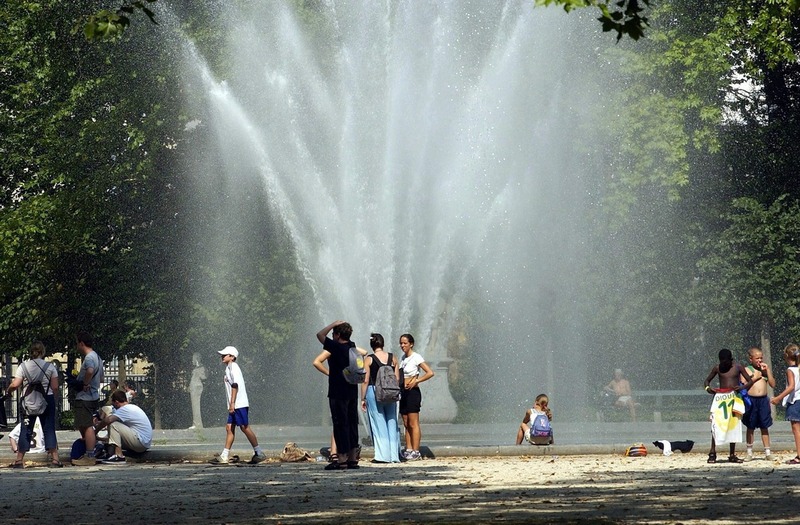 This analysis found that climate change had more than doubled the risk of such extreme heat. These early studies laid the foundations for using climate models to analyse the links between specific extreme weather events and human-induced climate change. Many studies since then have focused on putting numbers to the risks and likelihoods of various extremes. Attribution science has now evolved to the point where it is possible to analyse extreme events almost as they happen. The World Weather Attribution project is an example of an international effort to sharpen and accelerate our ability to analyse and communicate the influence of climate change on extreme weather events. This project examined the major flooding in France and nearby countries in 2016. The floods – which forced thousands of people to evacuate their homes and caused damage estimated at more than a billion euros in France alone – were made about 80 per cent more likely by climate change. Society’s beliefs about which events are caused by climate change will influence decisions about how to adapt to those changes. Poor decisions in this area can jeopardise infrastructure and human health. The communication of this science outside the research community has, with a few notable exceptions, not fully reflected these scientific advances. This confusion about the state of the science comes from many sources. The media, politicians and some scientists outside this area of research still often claim that we can’t attribute any individual event to climate change. In some countries – including Australia – the causes of specific extremes can be seen as a politically charged issue. In the aftermath of an extreme event such as a fire or flood, it can be seen as insensitive or overly political to discuss the human-induced causes of loss of life or property. The views of political and media leaders can be influential in shaping public opinions about extreme climate events. It doesn’t help that confidence and uncertainty are widely misunderstood concepts outside the scientific community. Another part of the problem is that for a long time, many scientists themselves repeated this message because of the complexity of the climate system. All extremes take place in a naturally variable and chaotic climate system, which complicates event attribution. Attribution scientists have the greatest clarity and confidence in attributing heat events that occur over large areas and extended time periods. For example, two separate studies found that the 2013 extreme heat in Australia would have been virtually impossible without human-caused climate change. Rainfall events are trickier. This complexity can create confusion about the extreme events that are better understood, and lead to missed communication opportunities. Understanding the precise causes of recent extreme weather and climate events isn’t just an academic pursuit. Extreme event attribution has become a research avenue with important benefits to the public. Society’s beliefs about which events are caused by climate change will influence decisions about how to adapt to those changes. Poor decisions in this area can jeopardise infrastructure and human health. For example, if we dismissed the link between climate change and the 2003 European heatwave without scientific analysis, we would be poorly prepared for protecting vulnerable people from heat stress in the future under further global warming. Any assessment of future climate risk and preparedness requires a scientific basis. It should not be based on opinions formed from personal perceptions, media reports, or politicians’ comments. Changes in extreme weather and climate events are the primary way that most people experience climate change. While scientific discussions around global average temperatures are useful for understanding the wider issue, you don’t experience “global average temperature”. Yet we all have some direct experience of extremes. We argue that scientists need to communicate accurately the scientific links between extremes and global warming, so that people can make informed decisions about actions to limit the risks posed by these events. Lead with what the science does understand and save the caveats and uncertainties for later. For example, start by explaining the impact of global warming on heatwaves and then discuss the specifics of an individual event. Use metaphors to explain risk and probabilities. For instance, discussion of global warming as “loading the dice toward more rolls of extreme events”, or “stacking the deck” in favour of extremes, are examples of accessible language. Avoid loaded language like “blame” and “fault”. Use accessible language for conveying uncertainty and confidence. For example, scientists often use the word “uncertainty” to discuss the envelope of future climate scenarios, but to the public, “uncertainty” means we just don’t know. Instead, use the word “range”. Try to avoid language that creates a sense of hopelessness. For example, rather than calling further increases in some extreme weather “inevitable”, we can discuss the choice we face between a future with increases in extreme weather, and one with less. These guidelines may also help the public evaluate the accuracy of reporting about weather extremes. If the link between an extreme event and climate change is rejected outright without an attribution analysis, it probably doesn’t represent the evolving science. Conversely, if an extreme is presented as evidence of climate change, without discussion of nuance and complexity, it is equally unlikely to reflect up-to-date attribution science. If scientists get better at communicating their work, and readers get better at assessing what’s accurate and what’s not, we will all be better informed to make choices that can hopefully stave off a future with more extreme weather. This article is based on an analysis published in the World Meteorological Organization (WMO) Bulletin, led by Susan Hassol and Simon Torok. Sophie Lewis is Research fellow at Australian National University. This article was originally published on The Conversation.